Today's So Shoe Me is the Eros in Black by Ivy Kizhner, $465, available at Solestruck. This wicked woven bootie by Ivy Kizhner is strapped and ready to step up your spring style. This strappy boho bootie is constructed from a soft and supple leather that will only look better with distressing and character that comes with wear&tear, making them the perfect everyday style. The front and center diamond cutout adds a signature summer ready detail to these airy woven boots but doesn't compete with the edgy enameled metal harness at the back. Pair these woven booties with a summery sheer lace maxi dress and a high waisted bikini for a high contrast style at your next fest. 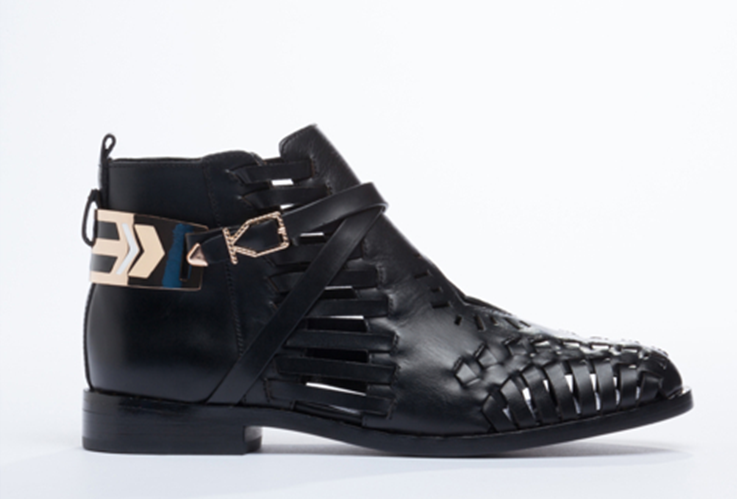 So Shoe Me a pair of woven wonders that mix boho style with modern materials for the perfect summertime bootie.